Many, many factors come in to play when an airline decides what engines will go on the brand new airplanes it purchases. But right about now, I'm guessing that executives at Qantas, Lufthansa and Singapore are casting a wistful eye at Emirates and Air France, both of which opted not to put Rolls Royce Trent 900 engines on the Airbus A380 airplanes they operate, selecting the Engine Alliance GP7200 instead. But they're also busy with on-again, off-again concerns about oil leaks and other peculiarities on these engines. After taking a second look at its Trent 900s, Lufthansa went back and had a third look and decided that one engine on this airplane, should be replaced "as a preventative measure" on Tuesday, a spokeswoman for the airline said. Singapore Airlines, inspected, cleared and released as "okay" some of the eleven A380s in its fleet and then today recalled three airplanes with plans to swap out the engines. By swap out, I am not suggesting that they're rollin' off the Rolls engines for the engine manufactured by Engine Alliance. Apparently, its not that easy. "Our design is unique to the GP7200 and thus has no correlation with the RR engine," communications manager Katy Padgett told me in an email. 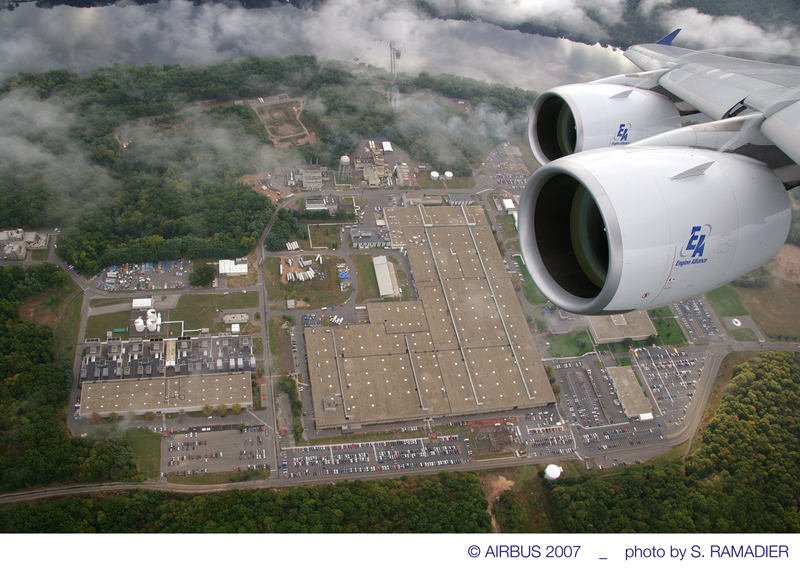 "Therefore, we do not offer 'backup' engines to A380 customers with Rolls Royce engines." In my experience, aviation companies avoid beating up on the competition in safety crises like the one in which Rolls Royce finds itself. There's a well-ingrained sense of it's-them-this-time, it-could-be-me-next-time that keeps the behavior civil, at least publicly. Still, its notable that while most of the A380s flying around these days are sporting the Trent 900s, Katy Padgett's numbers suggest that won't be the case much longer. 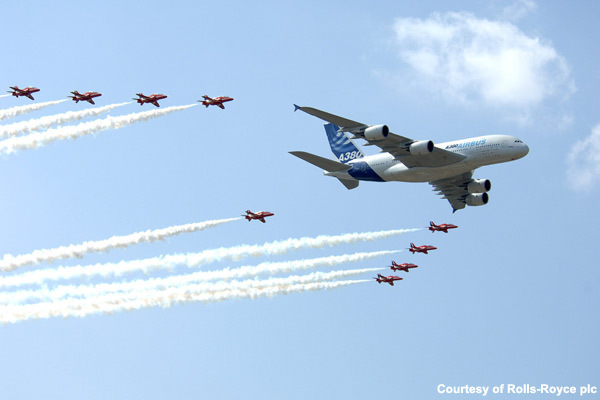 The majority of the A380s on order call for her company's product. In addition to Emirates and Air France, Etihad, Korean Air, Air Austral and planes purchased by the leasing company International Lease Finance orders for the General Electric/Pratt & Whitney engine total more than 500. Let's hope that rather than just watching the Rolls Royce investigation from the sidelines, the engineers at Engine Alliance are paying attention and checking every calculation and widget on their own behemoth products. Hi Samir, the outboard engine was affected because the pilots could not throttle down. The left inboard was the engine that failed. This reminds me of Boeing's reaction when the A380 was having problems with the entertainment system wiring. Officially they had nothing to say, though the Seattle Times (just round the corner) had a great deal to say. Now the B787 is years late and just suffered an electrical fire and Airbus aren't saying a word. I expect RR may be firing a few people, or maybe they'll keep them on so they can make them suffer more. The port outer couldn't be shut down, but I hadn't heard any suggestion that it was entirely out of control, that would have made life very difficult. When the fire service was trying to drown it the engine didn't look like it was at climb power. There are a number of jumbo-sized reasons to believe this is about more than engines, its about the airplane itself. When discussing aircraft incidents etc, it is best to stick to the language of the trade or industry. The Rolls Royce engine on the A380 did not 'DECONSRUCT', it failed!! analyze (a text or a linguistic or conceptual system) by deconstruction, typically in order to expose its hidden internal assumptions and contradictions and subvert its apparent significance or unity. I read on a pilot forum that the #1 engine could not be shutdown for some hours after landing and attempts to shut it down included pulling the fire handle. Even this was unsuccessful indicating wiring being severed by shrapnel from #2 engine. Just another complication for the very busy crew to contend with. I would be VERY careful to slam the RR engines and hail the GP version, even if you are American and cannot hold back your malicious joy as it is your culture. Howver, the EIS of the RR was smooth and nothing really happened to the engines of SIA which was the very first operator of the engine. Also, nothing happened to LH's engines. QF had several incidents in the past relating to Airbus and Boeing aircraft and several technical issues. The EIS of the GP7200 engine with Emirates was one of the worst in history with the aircraft being grounded for days. Mr Clarke of EK was slamming the manufacturer at the time, but it emerged later that it was the engine that didnt work. by now it is working ok and so is the RR Trent900. the faulty part will be replaced and damages paid by RR. Let's just stick to reality and not to Disney-style dreamland. Judging from your characterization of Americans as prone to engage in "malicious joy" I will assume that English is not your first language and credit that for your misunderstanding of my blog post. I have not slammed RR engines. I am saying that the Qantas event merits a thorough look - both for what it may be telling us about the engines and what it may be telling us about the airplane. That is the point of my post. No need to credit my reply to your original posting. The tone has the somewhat overbearing reading that one would expect. No need to downgrade my language skills. If you are able to speak any other important language in a way that i can speak english, german and french, please come to the front of the queue. otherwise spare me. There is nothing wrong with the aircraft, nor any major issue with the engines. Perhaps you ought to draw your attention at the way QF handles its maintenance. The RB211 has had a long development cycle (yes the Trent is certified as an RB211). It's a complicated 3 shaft design and its not the first time that oil fires have caused uncontained failures - in my day we were losing fans left right and centre (literally - RIP the L1011). The EA7200 is just starting out. What I learnt as an RR engineer was that it does not matter how much development testing has taken place, the moment it goes into airline service something "new" always hits you! All new engines have problems some at EIS others at a later date. I remember, way back then, when both the RR RB211-524B4 on the L1011 and the GE CF6-50E2 on the B747 had problems ( bearing failures and the titanium HPT case ballooning respectively), it was not great fun coping but both RR and GE provided support. However, I don't think the choice of the GP7000 was the result of extensive studies, AF was always a GE customer and EK was not happy with RR on other programs. There is no way an operator can predict failure modes on any engine. Selections are based on predicted performance and Financing.